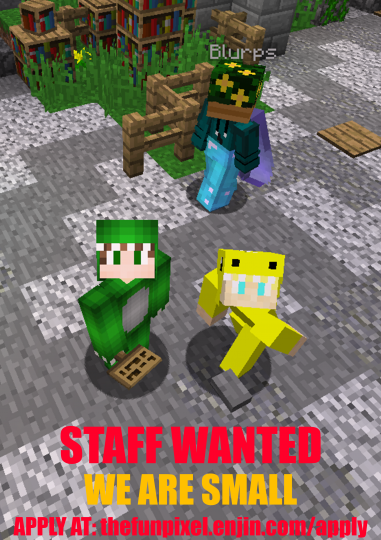 Join FunPixel today for a safe and friendly experience! Once you join, you will be greeted by many people all on the same mission, to win the $100 up for grabs if you are #1 on /is top! We kindly accept donations on our website! Skyblock: You are on a floating Island, you have to survive with just some basic items, what will you do next? 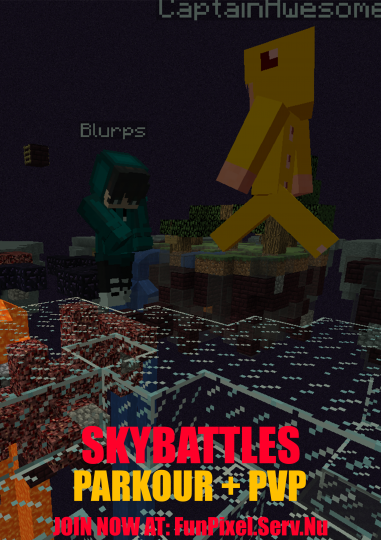 SkyBattles: Jump into battle at /warp pvp and Fight to the death in our new SkyBattles Arena!